When it comes to rosemary, we typically follow our noses to the source. After all, the aromatic herb smells as wonderful as it tastes. But when rosemary is included in your favorite skin care, the benefits extend beyond the olfactory. Here, we digest all of the ways that this needle-shape plant boosts our skin’s health. Where does rosemary come from? Native to the Mediterranean region, Rosmarinus officinalis has been used as a healing herb for centuries. Nowadays, to bottle rosemary’s benefits the plant goes through a steam distillation process to extract plant oil from its flowers and leaves. When you search out rosemary as an ingredient in skin care, you’ll find it mostly in two forms: as an essential oil or as an added extract in cleansers, astringents, creams and masks. What does rosemary do for our skin? To start, rosemary inherently has astringent qualities; it’s believed to balance skin’s natural oils without over-stripping our much-needed moisture. 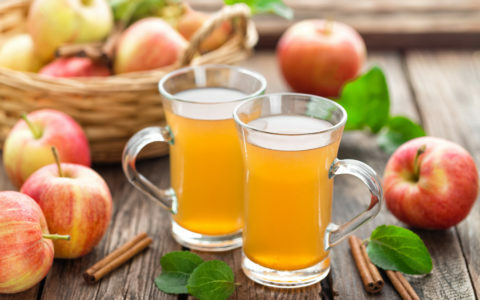 It’s also known to boost circulation to enhance skin tone. On top of that, rosemary boasts disinfectant and antiseptic properties, making it an ingredient suited for oily and acneic skin. 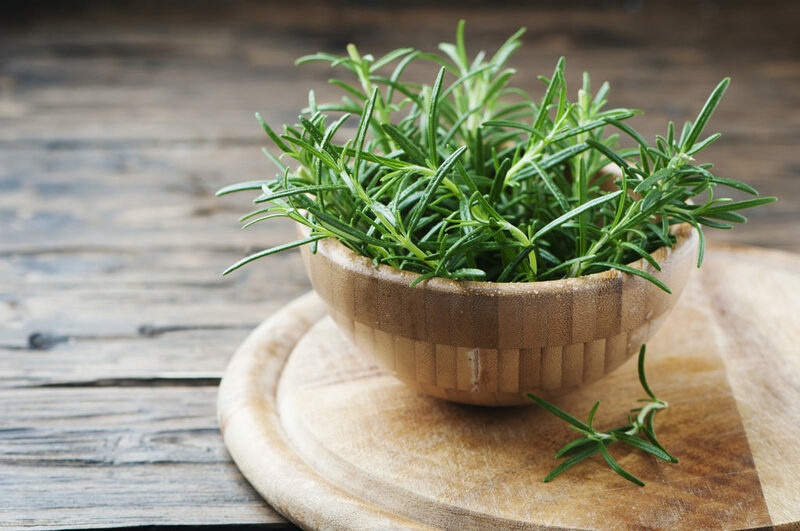 In addition, studies show that rosmarinic acid, a component in rosemary extract, contains anti-inflammatory properties that help reduce redness and swelling and even aid in quicker burn healing. 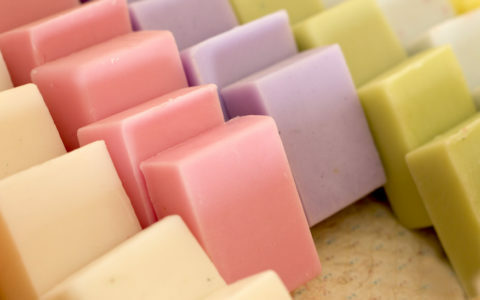 Another component, carnosic acid, retains antimicrobial properties—another benefit for skin healing and cleansing. 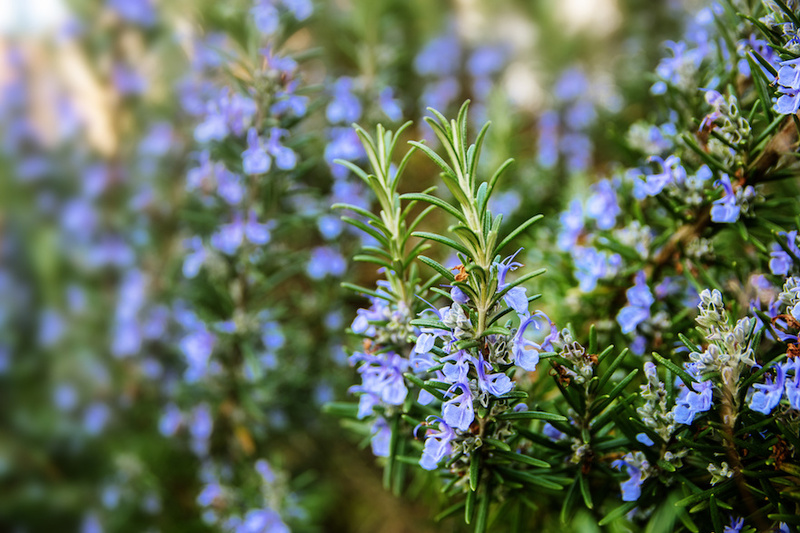 Not surprisingly, all of these aforementioned qualities can help quell chronic skin conditions, such as eczema, dermatitis and psoriasis, making rosemary a viable topical treatment. For people suffering from dandruff, home remedy gurus tout rosemary oil’s ability to alleviate flakes, but be weary of hair growth claims as they’re unsubstantiated. Speaking of rosmarinic and carnosic acids: They’re both antioxidants, which rosemary boasts plenty of. That means that rosemary prevents environmental and UV stressors from ravaging skin cells, which in turn protects skin cell health and encourages tighter, firmer skin and decreased photodamage (aka all those dark and age spots that everyone’s always trying to get rid of). Another antioxidant component of rosemary, caffeic acid, is one of the most potent—research has even shown it to have some anticancer properties! 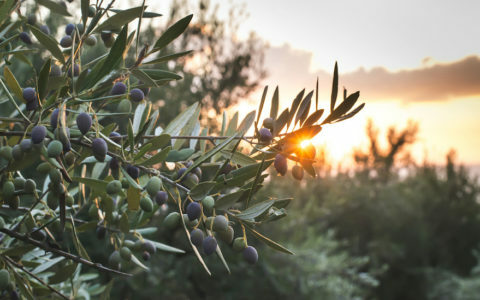 Who benefits from using skin care products containing rosemary? The list is long: People with oily skin, acne or anti-aging concerns should reach for skin items containing rosemary extract. Those who are looking for a natural remedy to help tamp down skin irritation (redness, puffiness or swelling) can also turn to rosemary. However, be forewarned: Some users do experience sensitivity to rosemary essential oil’s aromatic components, though rosemary extract found in skin care products usually does not cause reactions. When in doubt, talk to your dermatologist to find out if rosemary is right for you. Hello! Is there any tips on how to use rosemary for skin purposes? I don’t have rosemary essential oil or the other products. But I do have the plant in my garden. How can I use it?